24th Jan 2011 Manchebo Beach Resort & Spa, one of Aruba's most intimate beach resorts, has introduced newly refurbished Deluxe Ocean and Deluxe Garden View rooms, following a series of extensive renovations. Located on Eagle Beach, Aruba's widest stretch of beach, the two-storey Manchebo is a luxury boutique style resort, featuring just 71 ocean and garden view rooms with contemporary décor and top-range amenities. ORANJESTAD, ARUBA--(Marketwire - November 28, 2011 14:02 ET) - Beautiful, relaxing, laid-back and breathtaking are all words used to describe Aruba. For guests staying at the Renaissance Aruba Resort & Casino through January 31, 2012, another word is poised to join the accolades: magic. Among the finest Aruba beach hotels, the Renaissance is proud to announce two exciting new "Pure Magic" packages that cater to both breakfast buffs and spa fans. U.S. TSA: Can I Bring? Can I bring... through the security checkpoint? Frame 1. I entered the search term "FROZEN"
November 7th, 2011- For Traci Whitenack and Brad Camelleri, a destination wedding on Aruba was the perfect beautiful stress-free event to begin a lifetime of everlasting happiness. November 1, 2011 was the special day for Traci Whitenack and Brad Camilleri, professing their love for each other on this beautiful island. Residing in Rocky Point, Long Island, New York, Brad is the tournament director and aspiring golf professional at a golf facility in New York and Traci is a Master Stylist. The couple selected the island of Aruba for their wedding nuptials simply because of its unparalleled beauty. They feel that there is no place in the world that has more beauty or peace, and they felt this would be an excellent start of their lives together. Brad and Traci hired Ms. Lampe of Celebrations and Ceremonies as the wedding coordinator to assist with all of the wedding arrangements. Ms. Lampe did a fabulous job with all of the wedding arrangements. They were married at the civil house in Oranjestad followed by a beach blessing and wedding reception on Manchebo Resort beach. They are honeymooning at the Aruba Beach Club and then off to Atlantic City. Indulgence by the Sea Salon, located at the Tamarijn All Inclusive Beach Resort has recently introduced Shellac, a revolutionary nail color. The product was developed in the USA by CND, and launched in the international market just recently. Astoundingly, Shellac, which goes on like nail polish, wears like gel and removes in minutes, allows a 14-day wear with a mirror finish, zero dry time, and no nail damage. 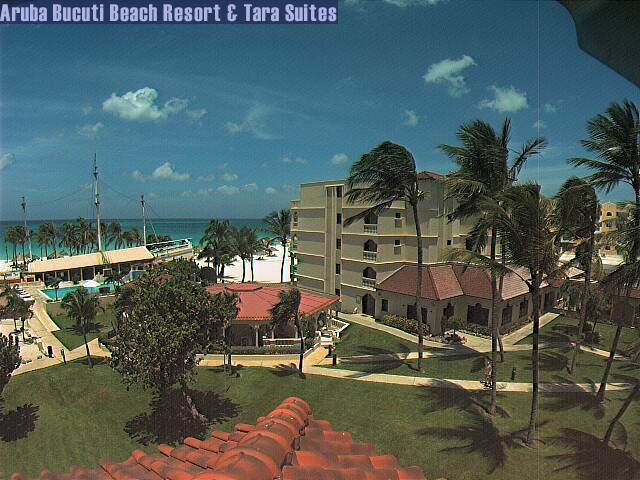 Oranjestad, Aruba – (August 15, 2011) – As the summer began to heat up, the Divi & Tamarijn Aruba All Inclusives were also becoming “hot” as the properties earned recognitions from top travel industry brands Travelocity, TripAdvisor and Travel + Leisure for 2011. September 26th, 2011- “Contemporary comfort … timeless Caribbean charm” is the new resort slogan of the Manchebo Beach Resort & Spa as announced by general manager Edgar Roelofs. “A complete two-million dollar room rejuvenation of the 45-year old resort located on the shores of majestic Eagle Beach will be completed this September 2011. We offer our guests the ultimate Caribbean vacation experience when combining today’s comfort with the intimate charm of the Caribbean” he adds. PALM BEACH, Aruba, Sept. 28, 2011 /PRNewswire/ -- The award-winning Radisson Aruba Resort, Casino & Spa today announced that its overall property renovation is set for completion in the middle of October 2011, with the Aruba Tower refresh as the final phase of the transformation. The renovation is part of an extensive USD 26 million renovation project which began in April 2010 and included refurbishing the 355-room resort's three guestroom towers and key public areas. Guests will experience a new sense of arrival, with updated furnishings and a reception area in the open-air lobby. Guests can now experience magnificent views of the ocean, beach, and pool the moment they arrive. On Friday, July 22nd, the Westin Resort & Casino, Aruba hosted the wedding ceremony and reception of Renzo Escalante and his bride, Sandra Betancourt. 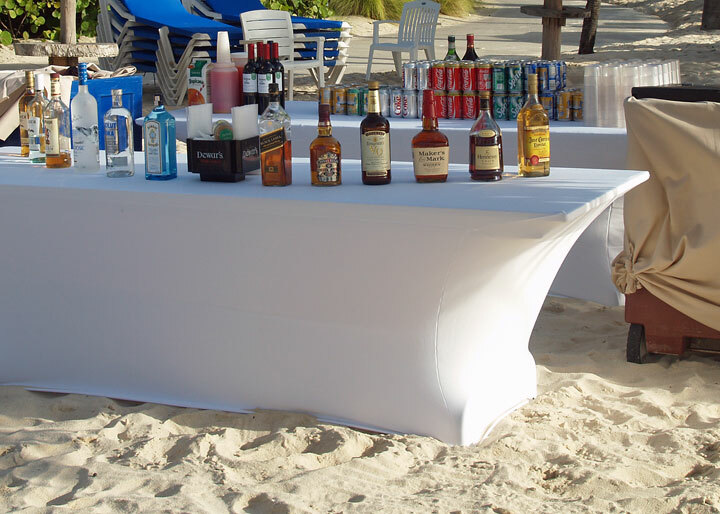 PALM BEACH – The Westin Resort & Casino, Aruba is an island leader in special events, and is a top choice for destination weddings and group events, as well as many local functions. The Westin’s heralded service and award-winning culinary team are at the heart and soul of this success, but perhaps the “x factor” lies within the diverse menu of event settings available to clients. 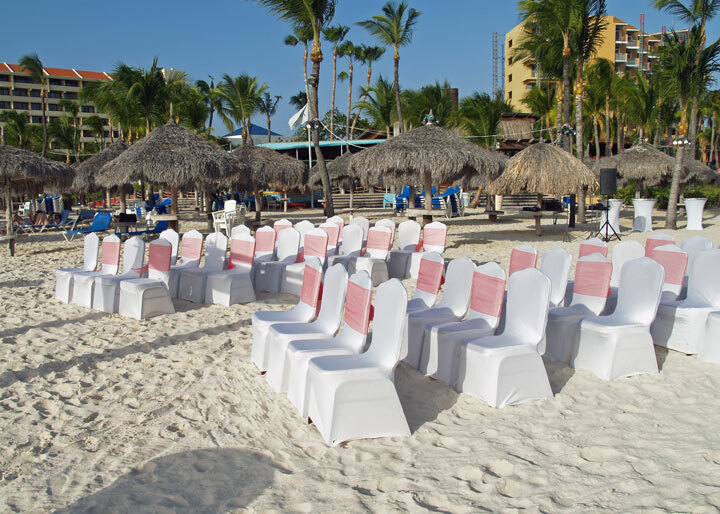 Aruba is the perfect venue for romantic destination weddings. Kristen Di Folco and Paul Head’s love affair with the island of Aruba started as they came here for the first time when they were still dating. On their second visit, their relationship with the island deepened with the decision to buy a timeshare condo, making sure they returned frequently. On their third visit to Aruba they scouted wedding locations and on the fourth, they orchestrated a lovely destination wedding for more than 50 guests from Massachusetts and Rhode Island, arriving here to witness the sunset wedding event. 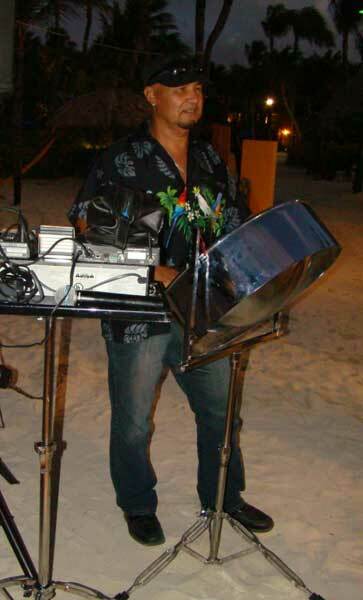 EAGLE BEACH, Aruba – July 28, 2011 – Anik van Draanen and Kenny Dhanraj from Ontario Canada recently exchanged wedding vows on the powder-white sands of Eagle Beach and Bucuti & Tara Beach Resorts. Following their sunset ceremony, the couple and nine guests enjoyed a private dinner under the stars to celebrate. The bride being of Dutch descent and the groom being of Guyanese descent chose Bucuti & Tara Beach Resorts because Aruba was the most fitting destination for a Dutch-West Indian ceremony. 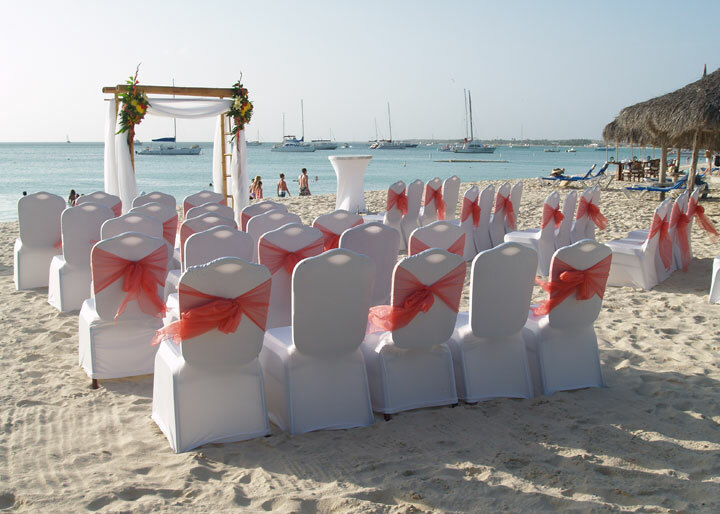 Aruba is one of the most popular wedding destinations in the world. Every week, couples from all over the world tie the knot on sparkling ivory beaches. Christina Moran and William Gilmartin said their “I do”s at sunset on the beach of the Radisson Aruba Resort Casino & Spa. The newlyweds from New Jersey were surrounded by 29 family members and friends, who made the trip to Aruba to witness the emotive blessing on the waterfront. Dinner followed by torch-light on the tropical pool deck of the resort with local and international specialties including surf & turf, grilled Filet Mignon and broiled Lobster Tail, proceeded by the delicious three-tiered wedding cake. Pictured here, snapshots from a perfect event, orchestrated by the resort’s wedding specialist Lisa Dammerman. Westin Resort & Casino, Aruba is one of the island’s top destination wedding venues, with a team of event professionals seasoned in the art of customizing and individualizing every event to be memorable and unique to each couple. From simple and casual yet classic toes-in-the-sand affairs to culturally influenced events interlaced with honored, religious traditions, the Westin team can coordinate a flawless event from start to finish. Following the immense popularity of the recent Paradise Beach Blogger contest, Marriott and Renaissance Caribbean & Mexico Resorts (MARCAM) launches “Resort to Romance”—its second installment of the interactive Beach Blogger campaign. Couples and wannabe travel bloggers enter the Resort to Romance contest now through July 28, 2011 for a chance to blog in bliss and win one of two all-expenses-paid, five-day vacations for two to a premier Marriott resort property of their choosing. 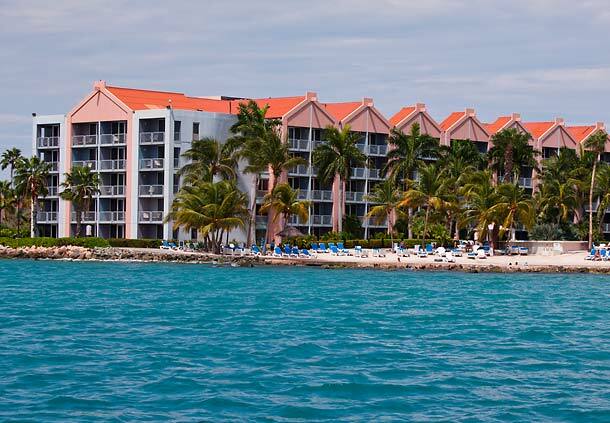 PALM BEACH, Aruba--(BUSINESS WIRE)--The “Sail into Luxury Package” at the Aruba Marriott Resort & Stellaris Casino can save couples up to $1,000 on a four-night stay. Providing 25% off Tradewinds Club leisure rates, free amenities, and a romantic catamaran sunset sail, this Aruba beach vacation package offers upscale accommodations and services geared towards couples seeking a tropical, luxurious escape. I will say that we just enjoyed our 5th stay at the Radisson since their opening in 2000. By the end of September the entire resort will have newly remodeled rooms and lobby area. If all of your guests are not able to afford to stay at the Radisson there are other lower cost alternatives nearby, some within walking distance.We just witnessed the makings of a destination wedding at the Radisson. I was jealous for sure! Friends and family members of the wedding party arrived on Saturday. There was a nice welcome cocktail reception at the Laguna Lounge on Sunday evening. Tuesday afternoon the beach was set up for what was presumably a sunset ceremony, followed by cocktails on the beach and a poolside reception. Are There Hurricanes in Aruba? Link: Wedding Events, How Many? Carla Weaver and Joe Davis chose to exchange their vows on 14 acres of pristine, powder white beach at the Bucuti Beach Resort. Their special day was everything they had hoped for. The intimate ceremony was officiated by Diane Keijzer and coordinated by the resort’s Wedding Coordinator Nashette Wouters. The most beautiful rainbow appeared over them as they exchanged vows and rings with each other. Mr. and Mrs. Davis celebrated their honeymoon in one of Bucuti’s award winning Tara Beach Suites. Christen & Chad flew down to Aruba from the USA with friends, leaving family behind. Rev. Robert Gibson officiated at the ceremony on the water’s edge just as the sun gently set into the Caribbean Sea. After the ceremony, they toasted their union with a champagne kiss and cake cutting ceremony. Christen & Chad posed for a few romantic photos before enjoying an intimate dinner for eight at the Sunset Bistro Restaurant with their toes in the sand. 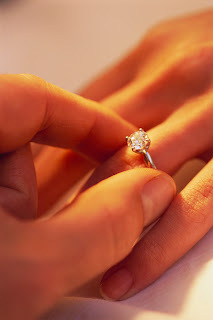 Congratulations from Aruba Fairy Tales! Link: Explore how Google’s free tools can help you save time, stay organized and have fun while planning your big day. "Aruba is now offering an island first with a FAST, EASY and FREE interactive way for couples to prepare for their special event as well as to help point friends and family in the right direction in the purchase of the right gifts." Register and assure yourself of the perfect gift - dining, activities, car rental and even a shopping spree on Aruba. 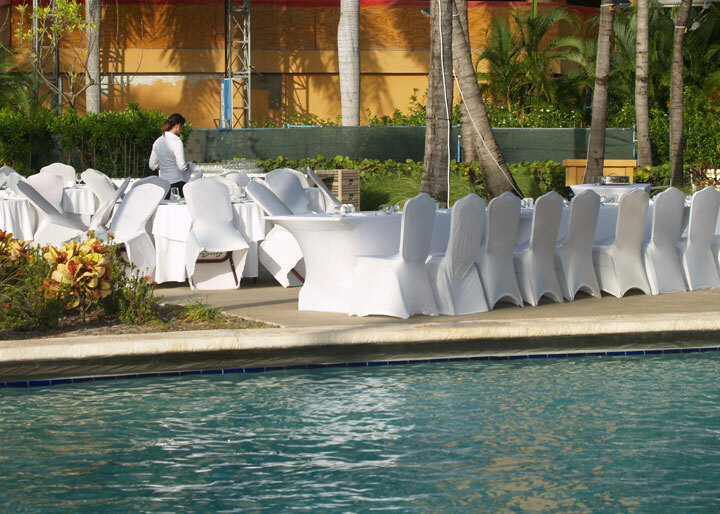 Friends and family will enjoy the convenience of being able to provide their best wishes with exactly what you're looking for in making your on-island wedding, renewal of vows, honeymoon or any other celebration a memorable event. Registering, choosing from among diverse activity and service options, checking the status of your registry and redeeming gifts is easy and can all be accomplished through the website. Various companies on Aruba offer products that cater to the disabled. Adding to its line of such products, Adapted Happy Wheels offers the Roll-A-Ramp. This easy-to-assemble aluminum ramp is very resistant and can be rolled up and stored. It gives persons with limited physical mobility accessibility in a practical and faster way. The ramp can be bought or leased on a short or long term. "Aruba is such a romantic destination that it is the perfect venue for such occasions as weddings, engagements and renewal of vows. And so John & Marie Leidtke from Pennsylvania decided to renew their marriage at the Occidental Grand Resort on December 13, 2010. Witnessed by their family and friends, the couple repeated their vows of love, marriage and forever with Rev. Robert Gibson at the water’s edge just as the sun gently set into the Caribbean Sea. The Leidtke’s culminated their ceremony on the beach with a champagne toast and a romantic dinner on the terrace of the resort’s fine Italian restaurant. The intimate ceremony was coordinated by Kimberley Ras-Dammerman, the Wedding Coordinator of the Occidental Grand Resort. Congratulations to John and Marie and the ‘bun in the oven’ due in 2011!" 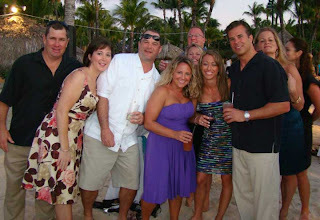 PALM BEACH – Amanda & George fell in love in Aruba 3 years ago when they vacationed on the island. The lovebirds, from Boston Massachusetts, decided to come back to Aruba for a destination wedding with 60 family members and friends, all staying at the Radisson Aruba Resort Casino & Spa. Reverend Gregory Lyder performed a lovely ceremony at the edge of the water coordinated by the resort wedding specialist Lisa Dammerman. PALM BEACH - Jenny Giordano and Mateusz Kipczak were married on Palm Beach just before the sun gently set into the Caribbean Sea. Family and friends witnessed the exchange of rings and vows as Jenny and Mateusz united in matrimony with their emotional toes-in-the-sand ceremony. Jenny went to Florence a year and a half ago to work and met Mateusz by chance. It was love at first sight for both of them! Mateusz proposed to Jenny near Ponte Vecchio a year to the day of having met her there. Jenny already had it in her heart for years to exchange her vows in Aruba - a place that she has been visiting over the past thirteen years. Resort’s unsurpassed natural beauty and eco-consciousness attracts couples from 26 countries around the world.